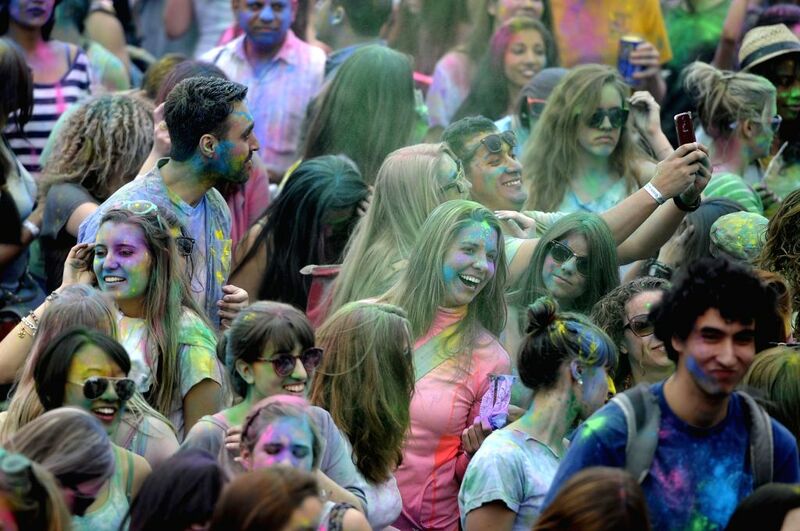 NEW YORK, May 3, 2014 - People participate in the Festival of Colors: Holi NYC in New York, the United States, May 3, 2014. The festival is a joyous celebration of the coming of spring. 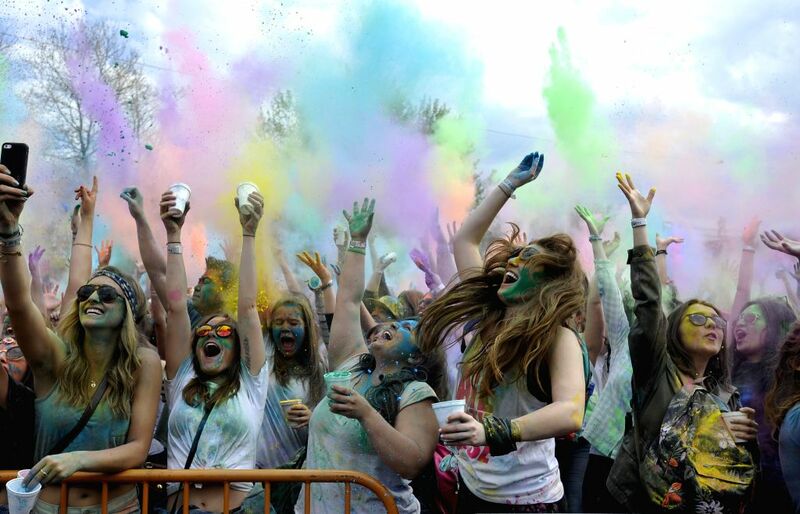 It is a time to throw vibrantly colored powder at your friends and strangers and dance together.